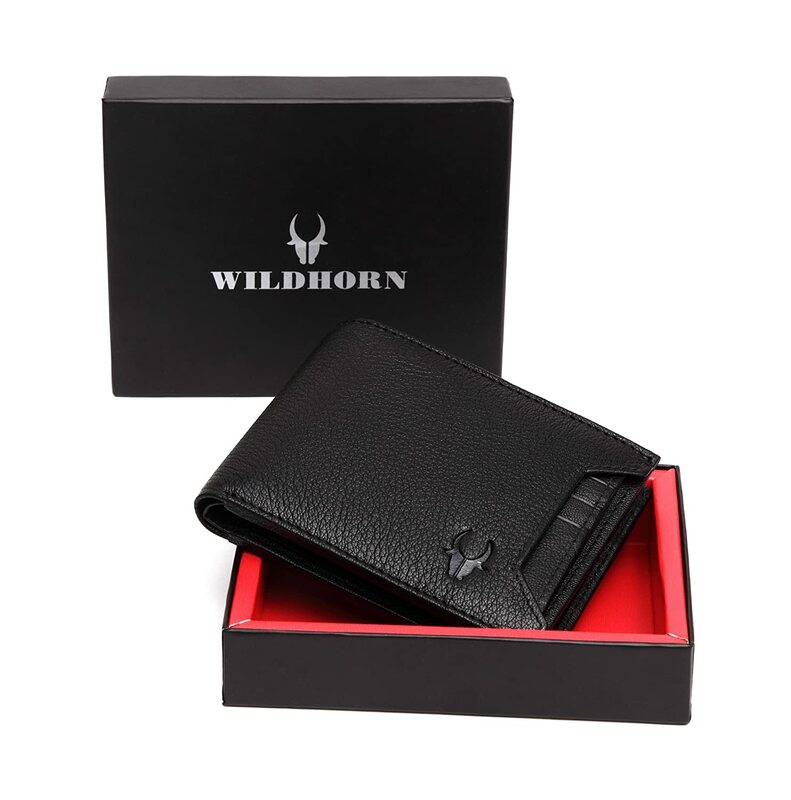 This is a high-quality classic genuine leather wallet from wildhorn. This wallet acts as the perfect accessory to complete your look and make you stand out. 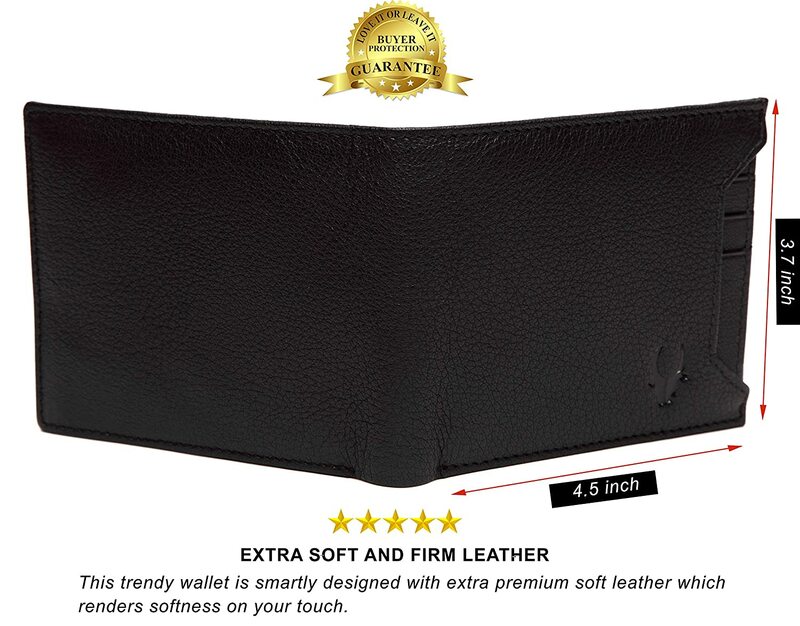 Featuring an elegant design, hand stitched; dyed and aged this wallet is long-lasting, light weight and a fine quality genuine leather product. It shows your personality and style every time you pull it out. 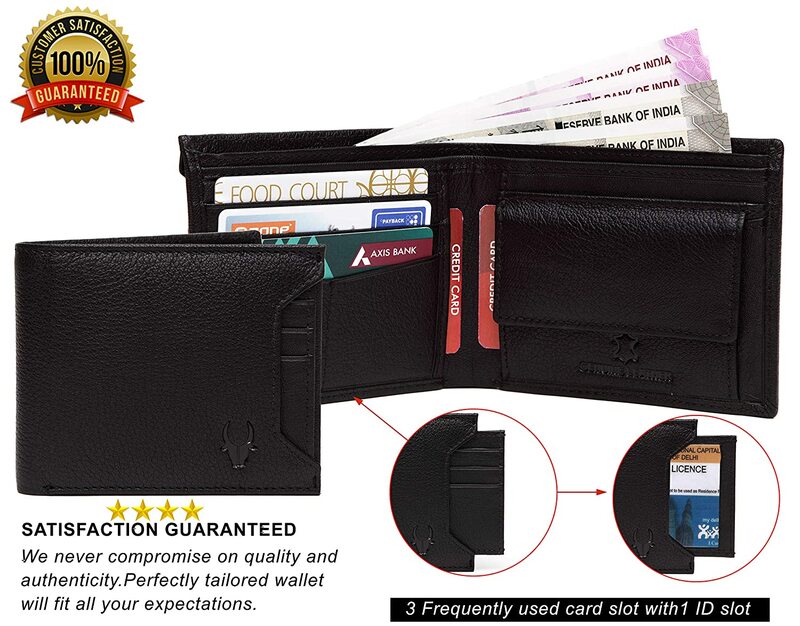 This smooth rich, supple, and luxurious leather wallet has been made out of top grain genuine leather and it's a natural thing where colour variation is never under control. If you are using first time or have least knowledge about pure leather then don't worry about its colour variation. Pure leather wallets get more beautiful on ageing. These are not pu which will contain shine on its surface. Product colour may slightly vary due to photographic lighting sources or your monitor setting. Material care instruction: if leather gets too wet: dry it slowly. Speed drying leather changes its chemical structure and you end up with stiff crinkle cut chaos. So aim for room temperature drying with gentle air rather than direct heater time with a hair-dryer. And keep it in the shape you want it to end up, as leather will remember the shape it was when wet.